Join us Tuesday, August 15th from 5:00 – 8:00 pm for the GLQC Summer Event Social at Skyline Park located on the roof of Ponce City Market. This ATL bucket-list location is packed with opportunities to network and meet others in our industry for a causal night of fun. The event is $50 for all GLQC Members; $90 for all non-member guests. We're looking forward to seeing you tonight at the 2017 GLQC Summer Networking Social Event from 5-8 pm. Below are parking and arrival logistic information specific to our event. It is recommended to arrive 10-15 minutes to allow for parking. Skyline Park at Ponce City Market islocated at 675 Ponce de Leon Ave., NE, Atlanta, Georgia, 30308. 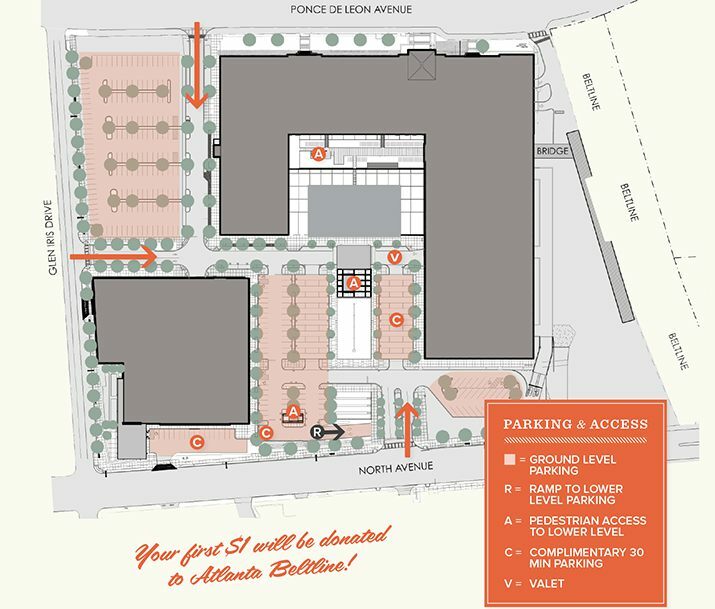 The Skyline Park and 9Mile Station elevator entrance is located directly outside the double doors adjacent to Anthropologie on the East side of the courtyard on the ground floor of Ponce City Market. The freight elevator entrance faces North Avenue. A member of the Ponce City Market/Skyline Park staff will greet you at the elevator. Inform them you’re with the GLQC Summer Event; we suggest you arrive 10-15 minutes early to allow for parking and entrance. Ponce City Market has ample paid parking both above ground as well as in their covered garage. If you would like to Valet Park, enter either from Glen Iris Drive or North Avenue and proceed straight for the Valet attendants’ area which is directly in front of the entrance to the roof. If you're coming by public transportation, they should exit the Marta at North Avenue Station and look for the Ponce City Market Shuttle.